The irony of features that make it easier for us to get into our cars is that they’ve also made it a piece of cake for the wrong sort to get into them and drive them away without even damaging them. Gone in 60 Seconds would have been a whole lot less exciting in 2018. Still, as easy as this video (above) shows it has become for scumbags to drive away with your pride and joy, there are still ways to fight back. Whether your car has keyless entry or not, the car theft landscape right now makes these methods of self-protection almost totally effective. 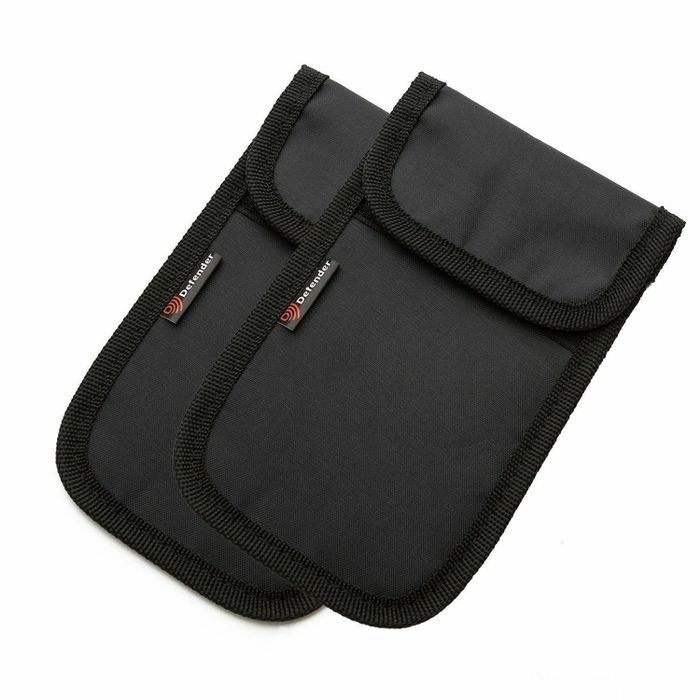 Faraday pouches are a simple, cheap way to completely block the wireless signals from key fobs – and phones. 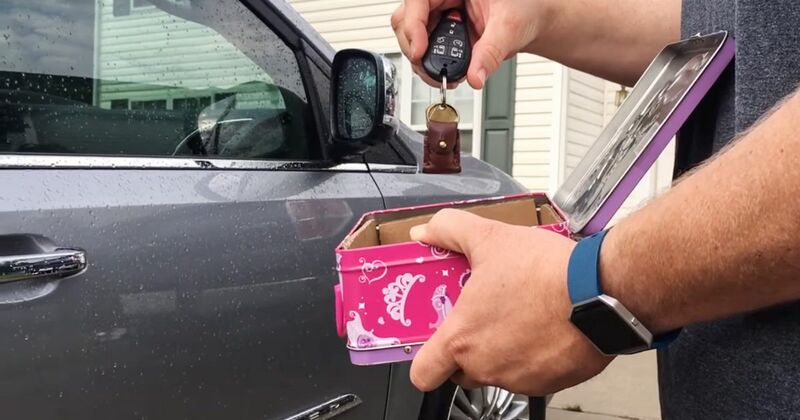 Simply slot the key inside before dropping the pouch into your bag or the drawer at home, and no one can then use a signal booster to fool your car – because there’s no signal to boost. That lets you enjoy the genuinely awesome everyday convenience of keyless without the risk. If you don’t want to shell out the £5 or so for a Faraday pouch, check whether you have a metal lunch box lying around. Line it with reasonably thick cardboard and you have a homemade Faraday cage that should deflect most, if not all, wireless signals in the frequency range used by car keys. You have to be careful with the DIY option, though, as it matters what material the tin is made out of, and if the key ever comes into contact with the metal then it won’t be effective until it’s moved away again. Still, with care this will do the job. The shift to easier, faster and – crucially – quieter forms of theft has left the door wide open for us to use old-fashioned physical security to kick any would-be thieves in the crotch. 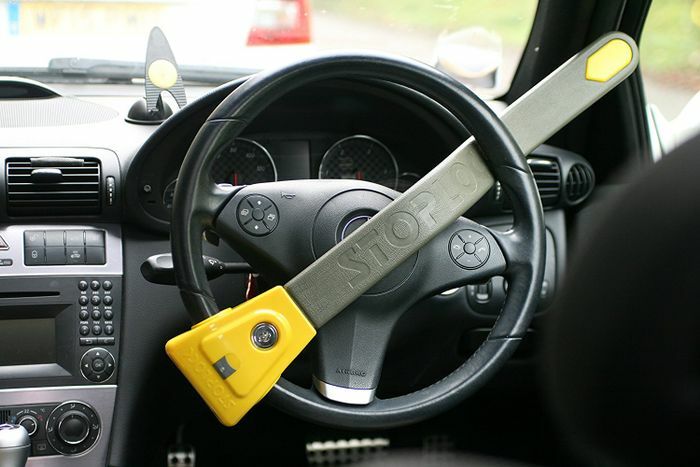 A simple steering lock is one of the easiest solutions. Keep it in the boot when you don’t need it and then clamp it around the wheel when you do. Options are available from around £25 or less, and span bars, clamps and even the type that totally encase the steering wheel. Others have extra bars that grip the brake pedal, making it a skilled lock-picking job or one for an angle grinder. Either way, almost any thief in the world will simply move on and pick an easier target. Another physical option is a goodie for when you’re leaving your car in public view for longer periods. 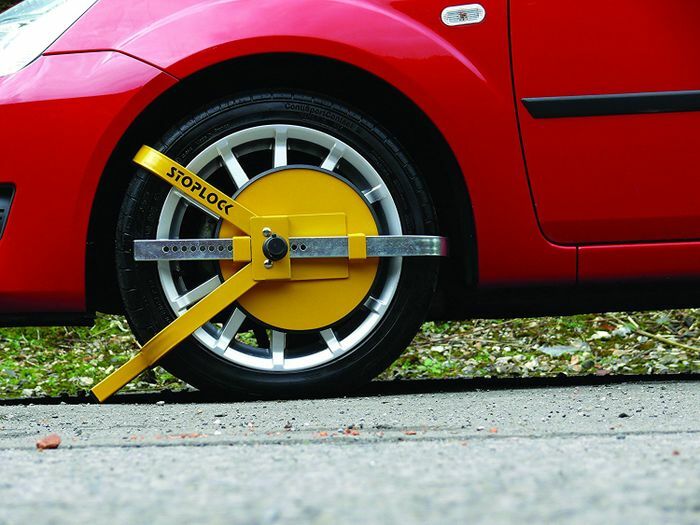 Wheel clamps are good enough for authorities that don’t want you to move your car until you’ve paid them a hefty fine, so they’re also good enough for deterring a lousy low-life who has designs on taking your car for a ride. These are usually bigger, bulkier and heavier than steering locks, so it’s probably more of an option if you’re away on holiday or if your car is in storage. It’s pretty foolproof, though, and needs specialist tools and/or skills to remove without the key. Lastly, if you’re the sort of person who sort of admires the movie character Jigsaw for his, err, playful schemes, you can choose to have a little fun with your criminal adversary. We’re not talking about torturous death traps, mind you. Remove a couple of spark plug leads, fit a hidden kill switch or a simple mechanical shut-off valve on your fuel line, and because car thieves tend to be in a rush, there’s almost zero chance they’ll bother to try to find the cause. They’ll just leave your car alone before they’re seen and caught.